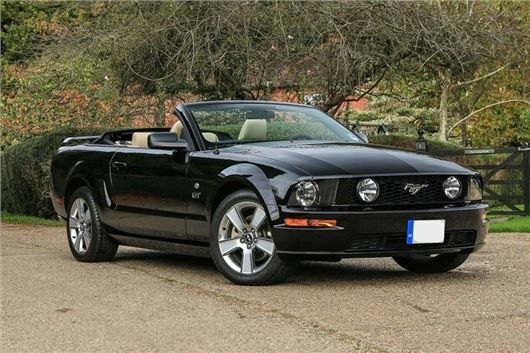 I have owned a 2005 Ford Mustang GT 4.6 litre V8 from new. It has been regularly serviced and covered a total of 56,000 miles faultlessly until two months ago when it developed a knock from the engine. A Mustang specialist in Surrey removed the top engine cover from the right hand side and found one worn hydraulic lifter and a loose timing chain. Now, after having the car for two months, during which time they told me that they were ordering new parts, they have told me that they cannot effect an economic repair. The car has an agreed value of £10,000. and I am very fond of it. I would be very grateful for any advice you may have regarding other avenues I might explore to enable me to keep it on the road. I had booked a van through AVIS some weeks ago to help my son move house. When I went to pick it up the van this morning the company refused to rent it to me based on my old style paper driving licence. I returned home and called the DVLA, who recommended that I get a check code online and use this with the paper licence and my photo ID in the form of my passport. However AVIS still refused to honour the rental and their head office also confirmed that they only accept a photo driving licence. We had hired a van from them last October without incident. Has something changed or are AVIS making up its own rules? We subsequently had no problem hiring a van from another company for this weekend but due to the last minute booking it cost us double the AVIS price and my son has needlessly wasted 2 days annual leave. Of course Avis is perfectly entitled to impose its own rules. This may have had something to do with Group D1, which might not be clear on your old paper licence. I'm afraid I simply cannot understand your motivation for doggedly refusing to exchange it for a photocard. This will inevitably cause increasing problems of your own making. For example, a simple one: You go to a Royal Mail parcel depot to pick up a parcel. They ask for proof of identity. A photocard driving licence proves it. Paper licence doesn’t. I have a Mercedes SLK 230, which I now keep in Malta. It's quite old, first registered in 2000, but has only done 21,000 miles and having bought it from a neighbour here in England who is a keen car collector, it's immaculate. It's been in Malta for a couple of years and when not in use is kept in our garage. A lot of the interior trim is starting to come off, eg the door of the glove box and on the various black panels connected with the folding roof. I've had a look on-line and it appears that the black trim colour is actually paint. There's a video on YouTube of someone working with it but it doesn't look very successful. Perhaps I need to find a trim specialist? The garage that services our car, an independent Mercedes specialist, says that it is a common problem but I get the impression that it's not something he can deal with. What would you advise? I'm very interested in a used Mazda CX-3 2-litre auto Sport. I believe it has a DSG box. Please can you tell me any watch-outs? My Daihatsu Terios has developed a fault with the driver's seat belt; when I start the car and connect the seat belt, the related warning light continues to flash and for a couple of minutes after I start driving a warning buzzer sounds and when the buzzer stops, the warning light continues to flash, as if the belt is not done up. A garage mechanic did an electric scan of the system and could not identify any fault. I would appreciate any advice you could give me in order to remedy this problem. The switch that identifies that you have fastened the seatbelt has failed. So it's a matter of inspecting inside the buckle on the stem. Might be nothing worse than a bit of fluff or a sweet-paper or something preventing contact. New clutch required on 12 year old 2006 Megane 1.5DCI Expression. One garage says it will probably also need another flywheel to prevent judder, which increases the cost from £320 clutch to £620 with the flywheel included. The original clutch has done 144,000. Car still running extremely well but is it worth spending money on it? That is spectacularly cheap for a clutch and dual mass flywheel. So it's a matter of deciding whether to spend the money or to scrap the car. If it's also going to need tyres, brakes and exhaust in the near future, that might seal its economic doom. Our MINI Countryman is a few days past six years old. The mileage is just over 71k and all servicing has been done by the dealer. We noticed in the last few months that it was consuming more oil than normal, but a check by another garage couldn't trace the fault. Last Wednesday my wife was driving on the M25 and the Amber engine warning light came on. 5 minutes later the engine cut out on the slip road to the M11. We had it towed to the dealer who initially told us the head gasket had gone and his final verdict today is that the engine is irreparable due to the damage caused when the head gasket blew. To replace the engine at dealer rates is more than the car is worth and we don't know where we stand. This kind of loss in a six year old car that has been maintained by the dealer seems crazy. They have said they will approach BMW/Mini for a "contribution to repair costs", but we are very afraid of no progress on this and being left with a massive bill for work so far and no car. What advice can you offer, please? My husband and I want a new “Focus-sized” petrol automatic hatchback, and most importantly a quiet and comfortable ride. No low profile tyres. The new Focus sounds good, although my local dealer says all new Focus will be fitted with low profile tyres. Apart from the tyres issue, we fancied something other than a Ford for a change and can spend up to £35,000. Can you suggest anything please? I bought a brand new Skoda Octavia 1.5TSI 150 SEL on 1st June 2018. I hadn’t driven it very long before I realised it just wasn’t running smoothly (it’s so shaky it can be felt in the passenger seat) at low speeds especially at around 1,500 revs and when the engine switches to ECO mode. I returned it to the dealership, but they claimed they were neither able to find anything wrong on the diagnostics nor to be able to replicate the uneven running on a road test. Following an on-line survey, I was later contacted by Skoda Customer Services at which point I explained the problem I was having. They contacted the dealership who in turn phoned me and the vehicle was booked in for further investigation. Fortunately, this time, the technician was able to reproduce the problem on a test drive but wasn’t able to come up with any idea of what it was. They then decided to acquire a car with the same engine from another dealership to see if that had the same problem, and it did. However, their conclusion has now been to tell me that this is obviously just a foible of this particular engine and there is nothing they can do about it other than report it to Skoda. Incidentally, the dealership said that this was going to be done the first time the car was in but I don’t believe they did report the issue. I find the whole situation unacceptable. I don’t believe for one minute that I should be expected to accept a car that doesn’t run smoothly throughout the engine range. I would therefore welcome any advice you can give me that might lead to an acceptable outcome. There have been whispers of problems with the 1.5TSI for a while. One school of thought is that the uncannily smooth 1.5TSI that journalists drove had been very finely and precisely tuned, which explains all the accolades. But production cars are being turned out with the roughness you describe. It might help to run on superunleaded. Many of the latest engines will run on ordinary unleaded but are actually optimised for super. My son bought a second-hand SEAT Leon FR (140PS) from a garage 3 weeks ago. It is 7 years old with 80,000 miles. It was sold with 12 months MoT and a recent service. My son paid for 3 months warranty for the engine. As a precaution, my husband and I advised him to get the cambelt change and a service as there had been no cambelt change previously. (From past experience we are cautious.) This was duly done. The garage during the course of doing this found that the alternator was expiring, although had not broken down at that point: it was making a whirring sound. This was duly replaced and we thought it was just bad luck. We have used the same garage as a family and trust their honesty and integrity. However, on his way to work today, the car has broken down due to a blown turbo. My husband is currently towing it back home. We have contacted the garage who have told us that the car was checked and no faults found and reminded us that my son had not paid the extra (in my opinion inflated price) to cover for this. My husband has spoken to them and been given a lot of “flannel” about how they have quoted our son’s rights, which appear to be very little. They have offered for us to bring the car back for them to “have a look at it” which would involve a 160 mile return on a transporter. We have been told we would have to pay for this. Our son relies on a car to get to work every day. He is borrowing his dad’s car this week and my husband has taken one week’s leave. What are his rights with regard to having a replacement car in the interim? We would prefer to pay to repair the problem locally which would be far quicker and ask to be compensated. Can we do this? Yes, the dealer who sold him the car is directly legally liable: /faq/consumer-rights/ The dealer is plainly trying to mess you around. Strictly speaking, he has the right to repair the car and it is not his fault that you are 80 miles distance from him. There are two options: return the car to him in which case he may mess you around more; maybe replace the turbo, maybe fit as sub-standard 2nd hand turbo, maybe offer you your money back (but not what you spent on the timing belt and alternator). Or you can get 3 competitive quotations for replacing the turbo locally and send copies of these quotations by letter to the supplying dealer, sent by Post Office Special Delivery, keep copies, staple the certificate of posting to the copies and suggest you have the turbo replaced locally. If the dealer refuses, sue the dealer in small claims for the cost. My son has had further contact with the garage about his SEAT Leon and mentioned his legal rights (thanks for that info.) The Manager is insistent that the car be returned to them and is now prepared to arrange to transport it. He has refused the idea of quotes from garages local to us. We had discussed getting an independent diagnostics test which my son suggested to the Manager. However the Manager is now pressuring for the car to be picked up today in a hurry and states that any diagnostics test will make any warranty "null and void". Is this so? He has indicated that he will cover the costs. My concern is how long they will keep the car and whether they put right the turbo with genuine parts. Mini-mum damage: so the engine oil warning light came on and his partner continued to drive on the motorway for 5 minutes. After the engine 'cut out,' he expects the dealer to rectify as a goodwill gesture!? Sheeesh! TA - Deal Kent may as well get a photo licence, because once he is 70 the paper version is invalid and he has to have one. The only benefit of a paper version is not needing to replace it every 10 yrs. So wait till you are 70! Why fill the Government's coffers for no advantage. I have never had the paper licence rejected as suitable ID, though to be fair a policeman was once confused (too young to remember them!). I stuck with my paper licence for as long as I could. But eventually had to change it due to a change of address. Because we were repeatedly LIED to about the new licence. First we were told it wasnt going to be compulsory, and then when they refused to renew for new paper licences, we were told the photo replacement would be free of charge. Don't buy useless VAG cars like Seats and Skodas! I have a Skoda Karoq 1.5TSI purchased in May and, whilst I have a number of reservations regarding it's blandness and the extreme features of its proximity warning systems sometimes when it senses roadside vegetation on rural roads, I can't fault the smoothness and quietness of it's engine. Perhaps I have just been lucky. Overall though I pine for my previous Yeti! Like Roger Coe above I too have a Skoda Karoq 1.5TSI which I cannot fault. It's my fourth Skoda in a row ( Fabia est, Octavia, Spaceback) having abandoned VWs and Mercedes. because they are poor value for money by comparison. SKODA is one of the oldest ( f.1895) companies still manufacturing vehicles today. Actually it says the MIL light, you can drive with that on as opposed to the low oil pressure light. I test drove an Volvo XC40 and was quite impressed, although didn’t proceed as the deal was complicated by my existing PCP with VW. However, I was surprised that the Volvo didn’t appear to have a (left) foot rest. After years of driving Audi’s and VW’s, I have got quite used to them. Also, it’s a lot more comfortable on your ankle. Why mess about with any car that the manufacturer is unwilling to give a seven year warranty on? If other cars go bang it is your fault for choosing a poor quality manufacturer. There are plenty of decent motors with a seven year warranty as I have one. ( year 8 now and only a brake light switch under warranty free of course). When TOYOTA had that large recall in America with cars apparently driving themselves, they immediately increased their warranty here to five years. This did their reputation no harm at all, others did nothing. They just think the British are stupid and put up with poor service. We have some of the shortest car warranties in the world.